Cor pulmonale is a complication of chronic obstructive pulmonary disease (COPD) and emphysema. It is sometimes called right-sided heart failure. Cor pulmonale is caused by an increase in blood pressure in the vessel, known as the pulmonary artery, which carries blood from the heart to the lungs. The increased blood pressure leads to the enlargement and subsequent failure of the right side of the heart. Under normal circumstances, the left side of the heart is responsible for pumping blood to the entire body and requires a higher pressure. The right side, by contrast, assumes the role of pumping blood through the lungs and requires a much lower pressure. However, when a condition leads to increased pressure in the arteries and right side of the heart, we refer to that as pulmonary hypertension. The term pulmonary relates specifically to the lungs. Any condition that leads to pulmonary hypertension can put a strain on the right ventricle and atrium of the heart. The right ventricle pumps blood to the lungs; the right atrium receives blood return from the heart. When these two chambers fail or are unable to work against the abnormally high pressures within the lungs, this condition called cor pulmonale. 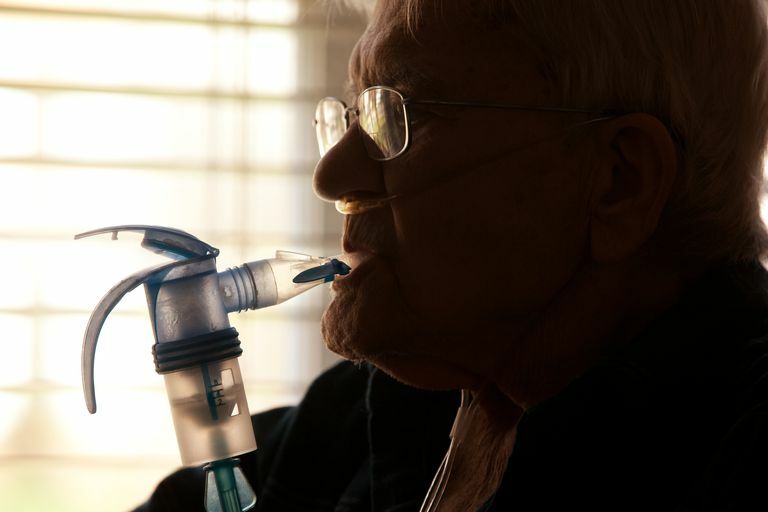 While COPD is a common cause of cor pulmonale, other causes include cystic fibrosis, sleep apnea, scleroderma of the lungs, blot clots in the lungs, or lung tissue damage. Pulmonary hypertension and cor pulmonale can lead to severe fluid retention which, in turn, can cause life-threatening dyspnea, shock, and even death. The initial diagnosis for cor pulmonale is usually made the doctor’s office. A physical exam would typically pick up any abnormal heartbeats, fluid retention, or protruding neck veins indicative of pulmonary hypertension. Blood tests would also be performed to check for, among other things, an amino acid made in the heart called. If BNP levels are high, it indicates that the heart is being stressed and, in severe cases, can be an early indication of heart failure. Treatment with oxygen, medications, and/or surgery can result in an improvement of symptoms, greater energy, and oftentimes a longer survival time. Since COPD is a leading cause of cor pulmonale, quitting smoking can help slow the progression of COPD and may prevent cor pulmonale from ever happening. U.S. National Library of Medicine: National Institutes of Health. "Cor pulmonale." Bethesda, Maryland; updated January 30, 2016.